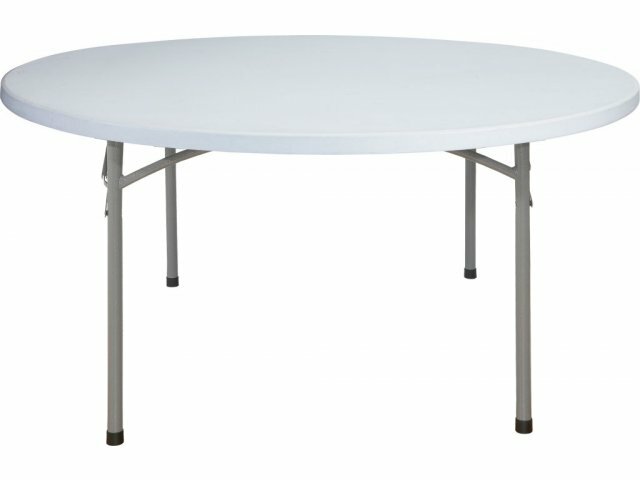 Round Blow Molded Table 60"
Folding tables are a necessity for offices, schools and any setting where tables need to be transported and set up quickly. 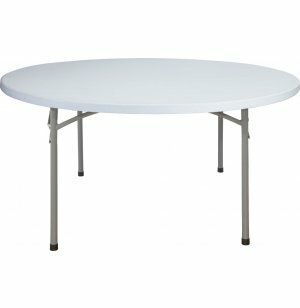 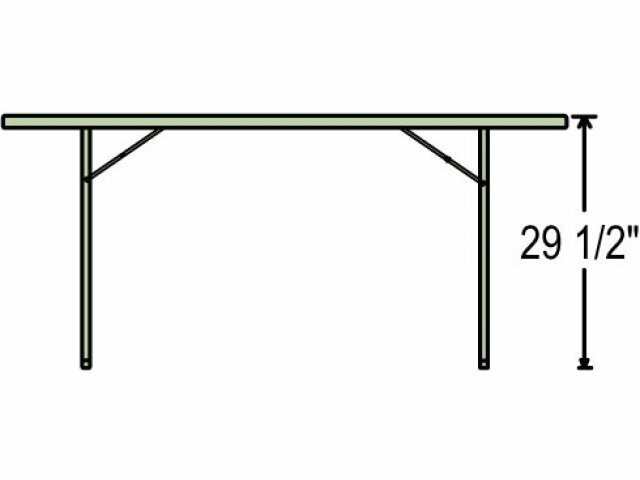 60"-diameter blow-molded folding tables are excellent for lunch meetings or group discussions. 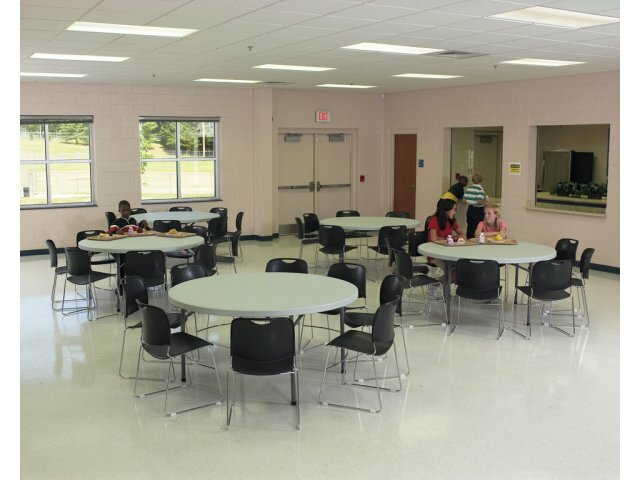 These tables seat eight to ten people. 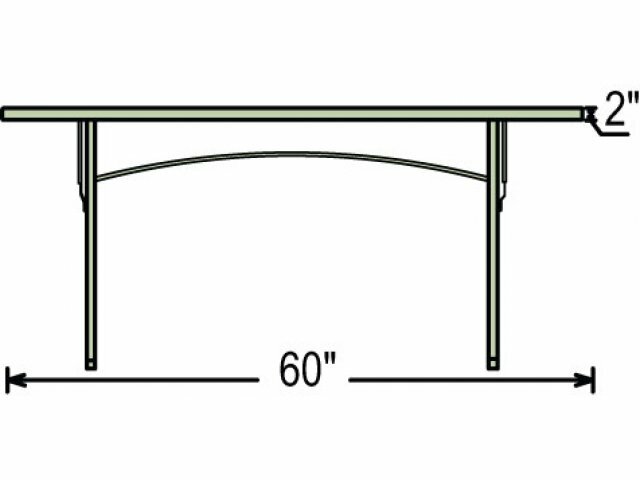 Conveniently Sized: 60"-dia. 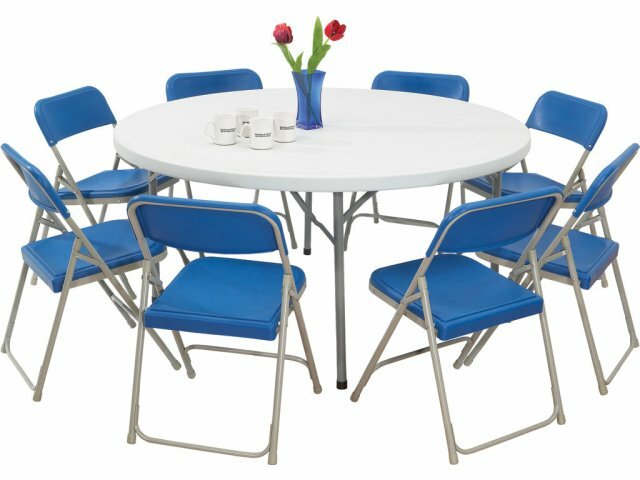 round table seats eight to ten people comfortably.